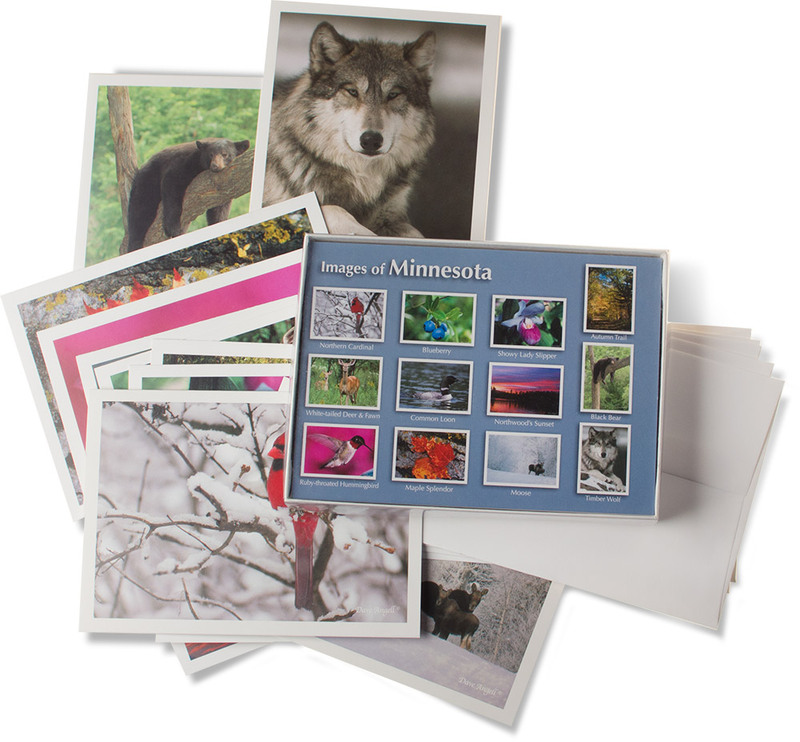 The Images of Minnesota group has 12 different Minnesota images. There is an image of a Northern Cardinal, Blueberry, Showy Lady Slipper, Autumn Trail, White-tailed Deer & Fawn, Common Loon, Northwood’s Sunset, Black Bear, Ruby-throated Hummingbird, Maple Splendor, Moose, and a Timber Wolf. The cards are a folded 4 x 6 blank inside card.